Specialised waste removal and disposal services are an excellent way to clear your property from unwanted items and clutter while saving money, time and effort. Our junk removals in Bexley Old will provide residential customers throughout the DA5 area with much needed convenience, efficiency and reliability when it comes to domestic waste removal. Our rubbish removals in Bexley Old cover the collection, removal and disposal of a wide variety of waste such as after builders junk, leftover or discarded construction supplies, garden rubbish and green refuse, garage junk, basement and attic rubbish, general household waste and clutter etc. 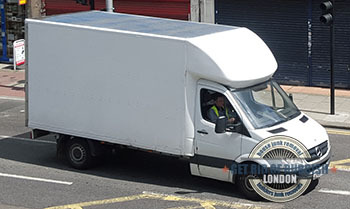 Removal and disposal of single items like old furniture and redundant white goods etc. is also available. Generally we have no trouble collecting junk from anywhere on the premises, even tricky spots like attics and basements. Removal, dismantling and disposal of electronics and IT equipment is done in strict accordance to the WEEE Directive regulations. We also provide comprehensive house clearance services at excellent prices. For specific waste removal requirements we also offer affordable, no-fuss skip hire. A skip of the required size and load capacity will be delivered and then removed from your property at your own convenience. Since we want to reduce the amount of waste ending up in landfills as much as possible, we recycle and reuse all salvageable items and materials we come across. We hold permits for using all recycling and waste processing depots in London and will provide waste transfer notes back to our customers if required. We are fully licensed, registered and insured. 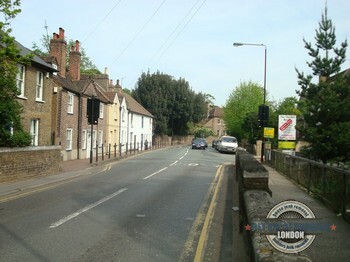 Old Bexley or Bexley Village is the historic heart of Bexley itself. The prefix ‘Old’ was put in use during the second half of the nineteenth century in order to distinguish Bexley Village from Bexley New Town. Before the nineteen sixties, there were a number of historic buildings around the area, however these were torn down and cleared away in order to give way to new construction and development. Also during the nineteen sixties, one of the most recognisable sites in Bexley – The Old Mill was destroyed in a fire. All wasn’t lost though as The Mill was reconstructed as a replica building of the original, and now houses a pub and a restaurant. In nineteen seventy two, the remainder of Bexley Old (the actual village) was given a Conservation Area status, which prevents any other construction or redevelopment of the historic infrastructure currently there.